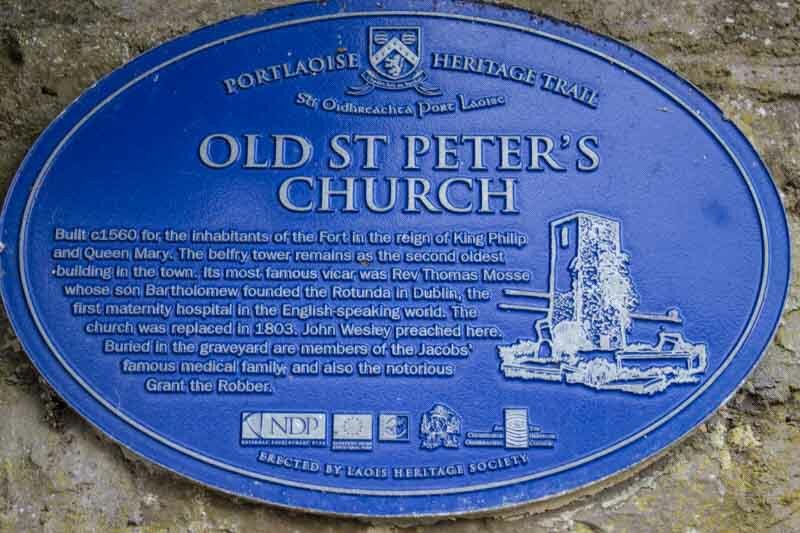 Old St Peters Church Portlaoise is one of the oldest buildings surviving in the town and dates back to the middle of the sixteenth century. The Portlaoise Tidy Towns Group wish to conserve the historic fabric of the site, and to recreate a place for peaceful reflection within the busy town centre of Portlaoise. 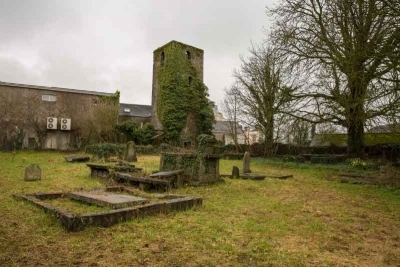 Old St Peter’s Church is thought to have originally been constructed in around 1556, when Portlaoise (or as it was then known, Maryborough), was developed as a Plantation Town under the orders of Queen Mary Tudor. John Wesley, the founder of Methodism, is said to have preached in the church on three occasions and declared it to be “one of the most elegant churches in the whole Kingdom“. 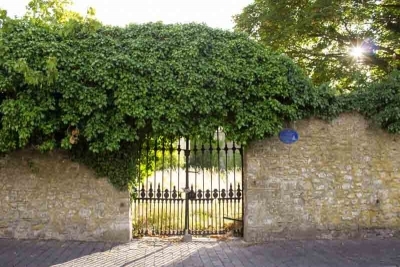 A number of interesting personalities and characters are interred within the historic graveyard, including Bartholomew Mosse the visionary founder of Dublin’s Rotunda Hospital, and the notorious highwayman Jeremiah Grant, known as Grant the Robber. Old St Peter’s Church is listed in the National Inventory of Architectural Heritage. The church and graveyard also feature in our Story of Portlaoise Audio Guide. Led by the chairman Jerry Lodge, Portlaoise Tidy Towns are an energetic and enterprising Tidy Towns group. The group carry out a number of projects in Portlaoise, such as planting and managing flower beds and flower baskets, organising clean-up weekends. The group’s efforts have been rewarded with silver medals for each of the past six years in the National Tidy Towns Competition. The group have also worked with Laois County Council and the Irish Wildlife Trust (Laois/Offaly branch) on biodiversity projects in Portlaoise Town Park. Where the group developed a wildflower meadow area, and erected bird and bat boxes alongside Portlaoise Men’s Shed. For more information please follow Portlaoise Tidy Towns on Facebook. 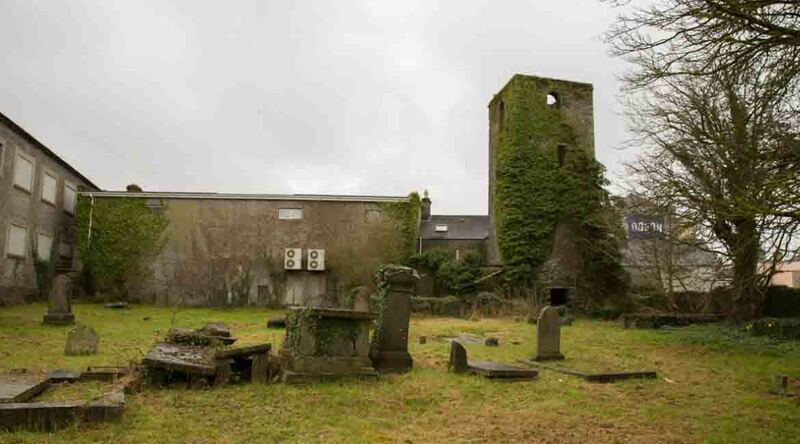 Share The Story of Old St Peter's Church Portlaoise, Choose Your Platform!